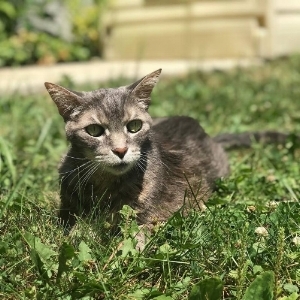 Mei Ling is a 16 year old cat with heart disease, chronic kidney disease, proctitis, severe hip arthritis, and now a newly diagnosed aortic mass. Yet with home visits one to two times a week, she is still able to enjoy life, including supervised play in the garden. Bea had a customized home exercise, diet, and pain management plan developed for her after her ACL surgery. Michigan communities served include: Ann Arbor , Brighton , Northville , Fenton , Howell , Farmington , Farmington Hills , Whitmore Lake , Livonia , Grosse Pointe , Bloomfield Hills , West Bloomfield , Birmingham , Commerce , Ypsilanti , Scio Township , Dexter , Chelsea , Manchester , Livonia , Rochester , Rochester Hills , Royal Oak , Ferndale , Clarkston , Burton , Clawson , Fraser , Utica , Shelby Township , St Clair Shores , Huntington Woods , Berkley , East Lansing , Okemos , Williamston , Fowlerville , Holly , Hartland , Jackson , Grass Lake , Dundee , Dixboro , Detroit , Pinckney , Perry , Hamburg , Leslie , Mason , Superior Township , Dearborn , Saline , Salem , South Lyon , Milan , Wolverine Lake , Adrian , and more. See below for full service map.